Denver and its surrounding area, including Boulder, is known for progressive and innovative tech business incubation and growth. 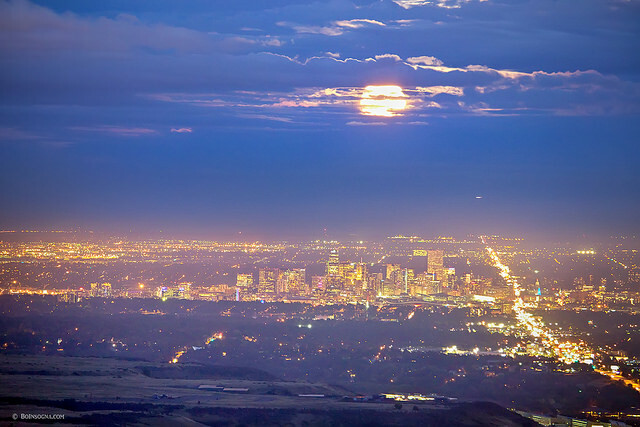 The urban landscape adjacent to the foothills and the Rocky Mountains nurtures an innovative yet reenergizing spirit. The WCET Annual Meeting, commemorating it’s 27th milestone, will be held in Denver November 11-13 at the Westin Downtown Denver and the conference program is both reenergizing, innovative, and practical. Since the preliminary program was posted late July, the speaker line-up, workshops, and sessions have evolved. We have several great additions we are pleased to highlight. View the program and make sure to register; registration is capped at 450 to maintain the collegial feel WCET is known for. Two preconference workshops are scheduled for Wednesday morning. Workshops provide an opportunity to dive into a key topic with expert session leaders and a limited number of colleagues. Both are free to WCET members and a nominal charge for non members. Space is limited to 40 attendees and participants can register during online registration. WCET Steering Committee chair and the director of Distance Learning at the University of Louisiana at Lafayette, Luke Dowden, and Sasha Thackaberry, the district director of eLearning Technologies at Cuyahoga Community College are leading an interactive workshop- Strategic Innovation: Working Through the Strategy and Skeptics. Attendees will explore concrete strategies for implementing and scaling successful innovation within existing institutional structures. Through discussion and interactive activities, participants will leave with mini-plans to take back to their institution. Learn how to leverage your college’s culture and context to implement and scale innovation. On the heels of our successful Leadership Summit, we will be providing a workshop on Adaptive Learning. The final group of workshop leaders is being confirmed and the description will be posted shortly. Attendees will explore the many challenging elements of choosing and applying an adaptive learning approach for remedial, undergraduate and graduate, and professional education. Participants will learn about exciting metrics and tools for incorporating adaptive learning into your programs. In 2014 the University of Wisconsin-Milwaukee established a National Distance Education and Technological Advancement (DETA) Research Center to conduct cross-institutional data collection with 2-year and 4-year Institutions of Higher Education. WCET is pleased to bring Tanya Joosten, the director of E-learning Research and Development at UWM, and her remarkable team, to provide a two-hour workshop on Conducting Research in Blended and Online. This hands-on-workshop will prepare attendees to take a plan back to their own institution to successfully gather research on blended and online teaching and learning. The session is first come-first served so be sure to grab your seat. Over the years we have heard from attendees that they like that the WCET meeting doesn’t have a large exhibit hall where sponsors sit and wait for attendees. However, the feedback is that attendees are still seeking ways to connect with businesses in the edtech sector so they can learn more and connect directly. This year, we are trying something new and we hope it provides value to the attendees from the corporate and institutional side, WCET’s Edtech Meet-up. The meet-up will include invited corporate participants, businesses that the WCET community wants to hear from, who will have an opportunity to participate in a conference session as well as the meet-up. The meet-up is a casual venue where tables are setup throughout the mezzanine area of the conference hotel for the invited corporate participants to showcase their product or service on tabletops (not exhibits). Lounging areas are setup throughout the space so attendees can disconnect or reconnect. We think this will be a great way to see what tech trends are on the horizon, foster interaction, and create an inviting space to mingle. 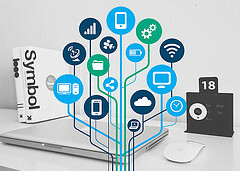 Gartner defines IoT as “the network of physical objects that contain embedded technology to communicate and sense or interact with their internal states or the external environment.” Think- smart coffee pots and thermostats. What do we do with an increasing number of IP-enabled students who show up in IP-enabled vehicles (or via high speed networks), wearing IP-enabled garments, bearing multiple IP-enabled devices, with the expectation that our community has the resources required to meet their expectations? To help institutions address this emerging technology challenge and opportunity, WCET is spotlighting IoT in higher education during the Annual Meeting. The opening and closing keynotes at WCET will discuss many of the IoT implications, considerations, and fun ways connected devices can impact our students and institutions. The opening session will be a fun look at the technologies and innovative by applications for teaching and learning. The ever dynamic and Robbie Melton, associate vice chancellor of mobilization emerging technology with the Tennessee Board of Regents, will guide attendees through mobile aps and alternate realities that help set the context for what IoT on your campus might mean to administrators, instructors, and students. The closing IoT panel brings together experts in higher education that are exploring and experiencing the impact of IoT. The session will be a lively moderated panel discussion about IoT in higher ed- what are the implications for your campus? What about student privacy? What about accessibility/students with mental illness affected by alternative realties? Who owns the data? and more. The discussion with Michael Abbiatti, WCET’s executive director, Florence Hudson the senior vice president and chief innovation officer for Internet2, and Bruce Maas the chief innovation officer and vice provost for information technology at the University of Wisconsin-Madison is not to be missed. What’s next? Stay tuned for information about additional activities and the release of our 2015 mobile app. The WCET Meeting is capped at 450 attendees to maintain the collegiality of the event. Registration is nearly halfway full so be sure to register soon.